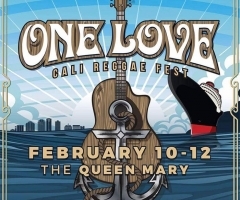 The rain from Day One had officially subsided, and it was clear skies in Long Beach to not only start the second day of the 2nd Annual One Love Cali Reggae Festival, but to remain that way for the rest of the weekend! Returning back to the festival grounds, One Love staff worked diligently to keep the mud at bay (pun intended), but as the day progessed, attendees began to accept the mud as all part of the experience! 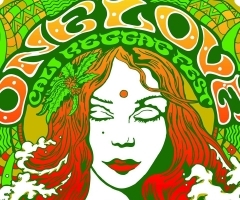 It was literally a day full of dirty reggae music, and the line-up was sensational... to say the least! 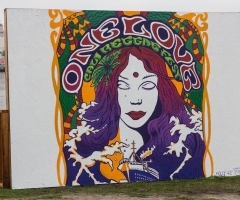 With the annual GRAMMY awards happening the day after, the talk of the day for Saturday One Love-goers was being able to catch three out of five reggae GRAMMY-nominated artists all in one swing. 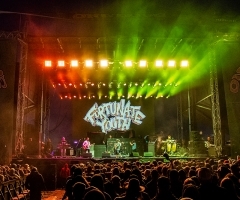 Between Rebelution, Raging Fyah, and J Boog, most people would be stoked! But, Day Two had a plethora of outstanding performances to choose from throughout the day. And, believe me, the choosing was the worst part! Performing Day Two was Iration, J Boog, The Green, Chronixx, Don Carlos, Israel Vibration, War, Seedless, Protoje, Passafire, Rdgldgrn, Josh Heinrichs & Skillinjah, The Holdup, Ethan Tucker, Kash'd Out, Rising Son, The Late Ones, Tyrone's Jacket, and of course, Rebelution to close the night down. My personal favorite moment, you ask? Lowriding in the photo pit to War's "Lowrider"... such a classic! See highlights from Day Two above, and check back soon for the Day Three photo gallery.